I look across a busy intersection and notice a vibrantly painted black women with a command-your-attention afro directly ahead of me. 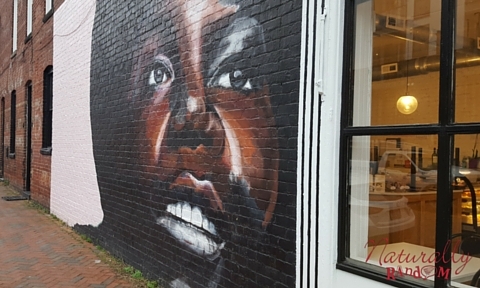 Since it was Black History Month, and I'm fresh back from Hawaii with my #MelaninOnFleek, I couldn't help but stand in awe of this beautiful mural. Just then, the sleekness of black and white lettering catches my eye. 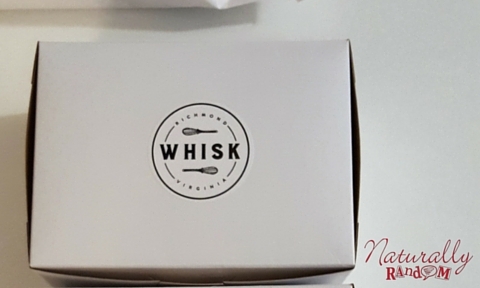 It's Whisk's logo. I had to get closer. Just by looking in the window here you want to go in it, everything looks so amazing. 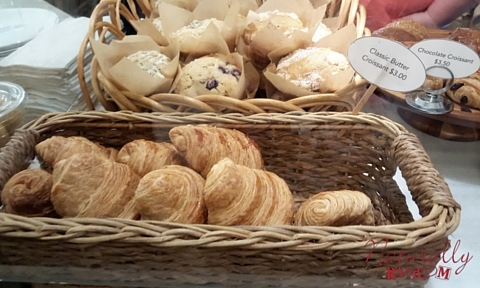 I purchased a regular chocolate chunk cookie, an eclair and a peanut butter chocolate macaroon. 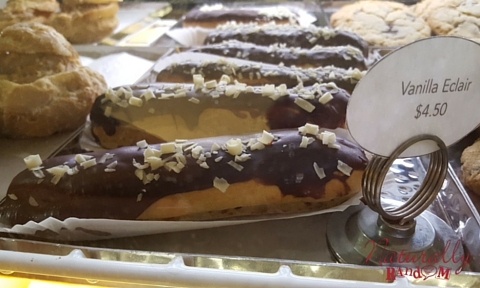 Everything was tasty, the eclair was sweet but not overpowering, the cookies were soft, chewy, and delicious. It also is entertaining just looking at all the tasty treats on display. 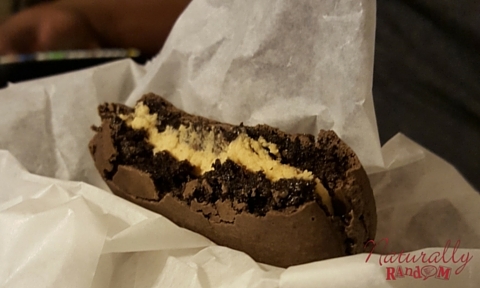 Now, hubby had the macaroon and immediately described it as tasting like a Peanut Butter Cup. I took a nibble and I absolutely agree. Less sweet, less "candy" taste but if you're a fan of the chocolate and peanut butter combination, you'll definitely want to try this. The staff was delightful and knowledgeable, while their offerings were all so graciously displayed. There are a few tables and chairs here. Seems like a good place for a quiet clean retreat to write. 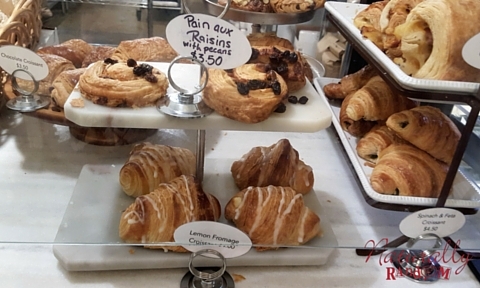 I'd definitely stop by for a croissant while working on Ms. Naturally Random. Well, I was only visiting, so I'll have to wait for another chance. 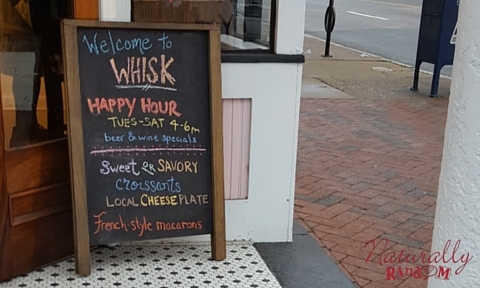 If you don't mind a carb-licious treat, and you're in the Richmond, VA area, I suggest you stop by and check out Whisk on corner of E. Main and 21st street! I can't wait to visit again! Uh...yum! Everything looks so delicious! 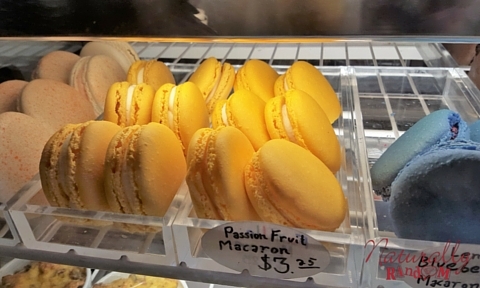 I'm interested in trying macaroons (never had one).